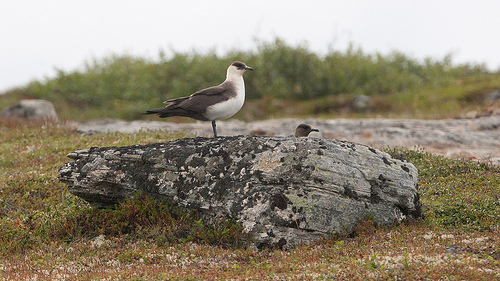 The Parasitic Jaeger (also known as Arctic Skua) is about as large as a small gull. 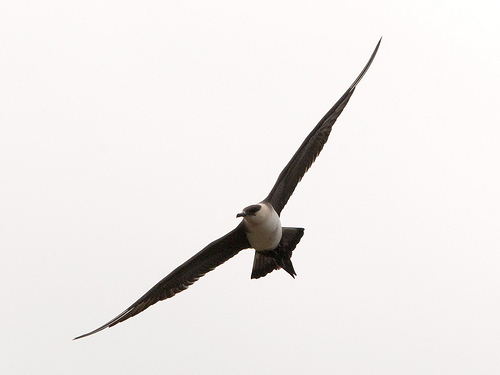 As soon as it sees food in the beak of a gull it will fiercely attack. It is specialised in stealing.